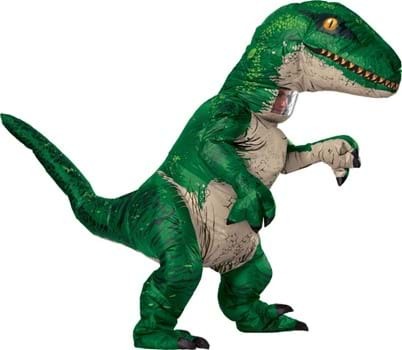 Thinking of dressing up as a Velociraptor for Halloween? Clever human! If you were a dinosaur you wouldn't be one that wants to overpower their prey with brute force, oh no, you're much more subtle than that. We know, we know you aren't a vicious predator. But if you were we'd think you'd know better than to announce yourself with earth-shaking footsteps and deafening roars. What's the point of scaring away all the easy targets? Now, you've always been a team player. It works for you whether you've been utilizing the skill by winning basketball games, conquering work projects, or even through math league. Once you're with a team you know that a goal that might seem so far away is utterly attainable. And that is why you'd make a great velociraptor. Along with their dagger-like claws, they used teamwork to take down prey that was much bigger and sometimes just as decked out with teeth and claws as they were. Thinking three steps ahead in unpredictable moves that would impress military generals today, we should all be glad that they exist only in fossil and inflatable form to this day! 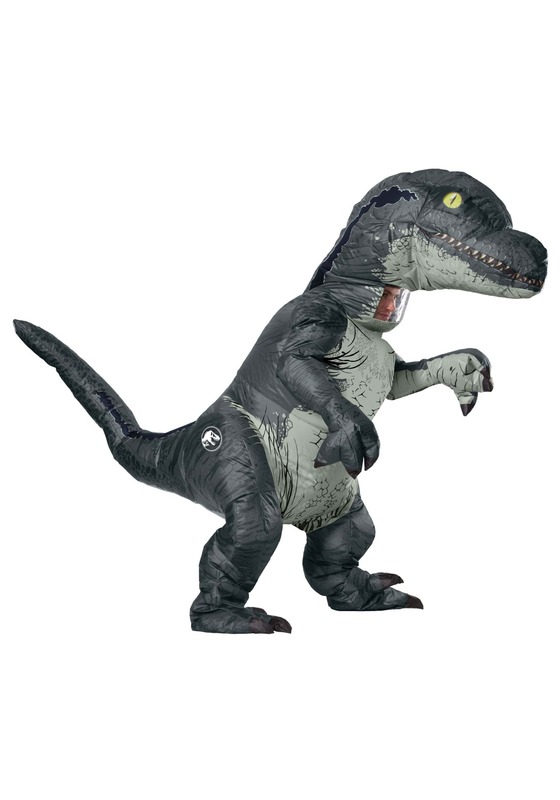 As much as we'd like to see a whole group of inflatable Raptors on the streets this Halloween anyone who has seen the cafeteria scene in Jurassic Park knows that even one is a real handful to deal with and two is unbearable, thank goodness for that kitchen vent! You're sure to have a great time in this costume but if you want to maintain that element of surprise make sure you're not serving Jell-O for dessert!